Tom Jones is to perform at the legendary West Hollywood nightclub Troubadour as part of a small tour in the US. The Troubadour is a venue famous for early gigs from fellow greats Sir Elton John, Bruce Springsteen and Bob Dylan. Sir Tom Jones, 72, will also take to the stage at Philadelphia’s Theatre of the Living Arts and the Bowery Ballroom in New York during the tour in May. It will follow Tom Jones’ latest stint as coach on British talent show The Voice. 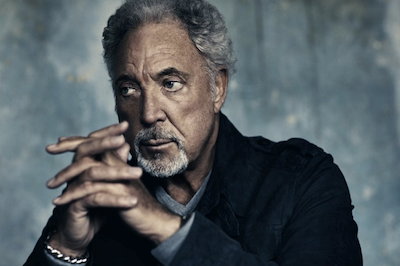 The concerts were confirmed in a statement on Tom Jones’ official website. The dates, which run from 11 to 18 May, are being held to mark the US launch of Tom Jones’ latest album Spirit In The Room, his second “back-to-basics” collection of blues numbers. The short US tour will see Tom Jones perform intimate gigs at venues more often frequented by up-and-coming rock bands. Founded in 1957, the Troubadour on Los Angeles’ Santa Monica Boulevard famously helped establish the careers of numerous bands and singers. Artists including James Taylor, Carole King, the Eagles, The Byrds, Joni Mitchell, Van Morrison and Guns N’ Roses played gigs there in their early days. Philadelphia’s Theatre of the Living Arts was originally a cinema, while New York’s Bowery Ballroom was built as a shop in the 1920s. Most recently Tom Jones has performed in front of millions of viewers on the second series of The Voice in UK, in which he returned as a coach for aspiring vocalists alongside Jessie J, will.i.am and The Script’s Danny O’Donoghue.